Onia® is intended to bring well-being into our everyday life. 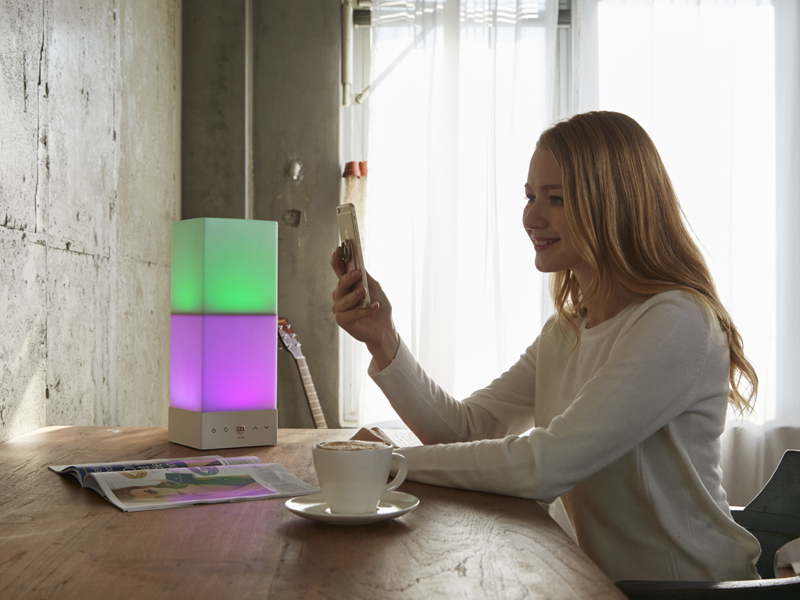 It offers the perfect opportunity to transform your home into an oasis of well-being, whether in the modern loft or in the bedroom as asleep or wake-up light. 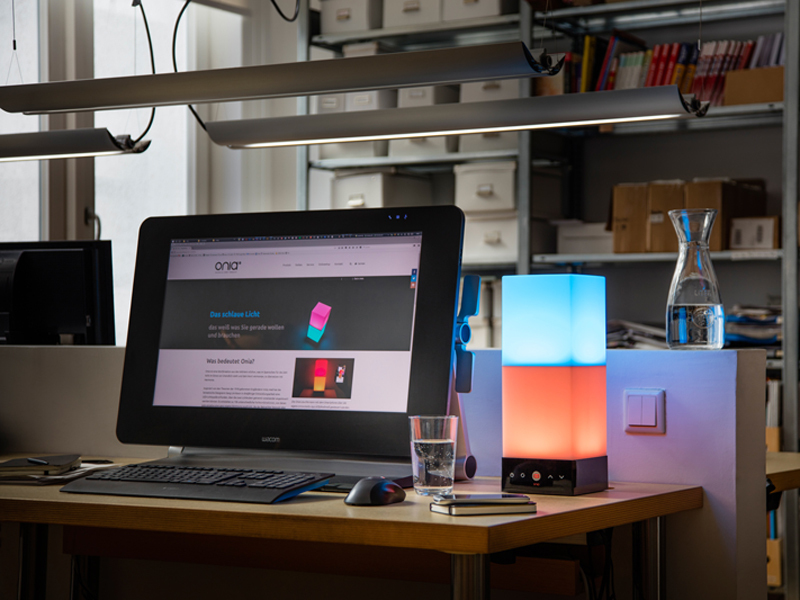 And because Onia® works with a plug, the design light can be placed wherever a wall socket is available. Double LED cube - unique worldwide! These features and many more can be found in the Onia® plus app.